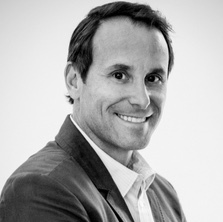 Jason Lemkin is the Founder of SaaStr and was the Co-Founder/ and CEO of EchoSign. SaaStr is a social community of 100,000+ SaaS founders organized around taking SaaS business from start to initial traction, to scale, and beyond. As a VC, Jason has been behind many investments in SaaS startups like Talkdesk, Algolia, Greenhouse, Automile, Betterworks, RainforestQA, and others which are collectively worth over one billion dollars. We talk to Jason about the evolution of SaaStr, company stages and successful SaaS growth strategies. You often talk about SaaS companies getting from initial traction to initial scale. What does that mean? Everyone goes through certain phase transitions in SaaS and generally when you hit a million or two million in revenue, you start to have a mini-brand, your happy customers start to refer you to more customers, you start to get more organic leads, and you start to hit this phase called initial traction and you start to hit the moment where you can no longer hack it all yourself. You need your first VPs – Sales, Marketing, Customer Success, as many as you can afford. Then another phase happens when you hit about a million a month in revenue, 10-12 million ARR. If you hit 10 million ARR, you have high customer satisfaction, you’re generally unstoppable and generally cannot be killed…going from 10 to 100 is inevitable. That’s why I call it initial scale. At Zuora, we work with all these fast growing SaaS companies and have observed that to grow quickly, these companies need to execute multiple growth strategies, do you agree? What I’ve learned is key is to add a layer each year. Add something new that can be accretive. Say, you go to the UK or add a mid-market offering or localize your product. You can do as many experiments as you want once you’re a little bit bigger, say over $10 million in revenue but until then, you can only add about one initiative a year. Use a forcing function and pick the best one you can. As you see these things take off in different companies you actually look back and they only do one or two of these a year. It doesn’t happen overnight. I think that’s the secret. The way to hack it is look back on a year and find that little bit of organic traction that you weren’t expecting. Did I get a little bit more traction with bigger customers than I was planning? Did we overshoot our goals in upsells? Did we get more customers in Europe or Australia than we planned? And then just double down there as your top initiative for next year. Pick one. This is the best advise I can give to almost every founder. Job one is to get to 10 million. The simplest way to get from 1 to 10 is to double down on what’s working. What has been the learning from SaaStr’s success and what can we expect at this year’s conference? When I started writing the SaaStr posts, I figured maybe there’d be 10 or 20 or 30 people in the world that this would resonate with. I certainly never expected that this year for the SaaStr annual 10,000 COs, founders, from every country on planet earth, would fly to San Francisco for a week. I couldn’t even imagine it would have a thousandth of that impact. I think the meta take-away for folks is it’s a good reminder that you never really understand your market size. I remember when I met Tien from Zuora in the very early days, some of the initial vision was focused on the low end of the market. And now Zuora is a key enterprise player solving huge problems for large customers. It’s a profound solution, and Tien’s one of the most visionary CEOs I’ve ever met, but I think even Zuora’s market size is larger than he might have thought in the beginning. So the learning from SaaStr is that you can segment your market and you can say today the exact market I’m addressing today is only an $11 million market, and you can get that precisely right. But great founders, great executive teams, expand the market. They go into adjacent areas and their customers pull them there. There’s no way I would ever have thought this many people would read this amount of content, but it turns out SaaStr isn’t about SaaS and it’s not even about B2B, it’s about folks learning how to sell stuff. There’s a commonality there whether you’re a junior SDR at an e-commerce company or whether you’re a CEO at a Fortune 500 company. At the SaaStr conference from February 7th-9th in San Francisco, we’ll have around 10,000 folks this year with the core audience being B2B CEOs, VPs, and founders. You’re going to hear from the best VPs and CEOs at $10 million, at $50 million, at $100 million, at $250 million in revenue. You’re going to hear about folks like you about all these stages, how they did it, and how they scaled their businesses. In 2016, you launched the SaaStr Fund – how’s it going? What’s the secret to jumping the line there? I’ve done about 25 investments total and I did almost 10 when I was an investor at another venture firm. The goal was just to repeat what worked and be able to do it with clear focus – SaaS companies that have 10 or more unaffiliated customers, and with amazing founders that are doing something interesting. The interesting thing is it’s all an inbound model, we’re only investing out of the SaaStr community. I prefer to invest in founders that don’t need money today, and I can help a ton very very quickly. I’m happy to have other co-investors, and happy to be the only investor in the company as well. Zuora CEO Tien Tzuo will be talking at SaaStr on February 8th. He’ll be sharing lessons and advice on the ascent after $50M. More information here.